This month's SRC assignment was an absolute doozy. I was assigned Erin's blog, Making Memories with Your Kids. I was really happy with this assignment, not to mention excited. I've known and admired Erin's blog since 2010. That was when I first came across her blog; we were both participating in the "12 Weeks of Christmas Cookies" bake along. Go over and have a look at all the fun she's got going there. Not only does she have some awesome recipes, but she's also got heaps of fun foods for kids, craft activities and some really amazing gift ideas for pretty much any occasion. I love looking at all the ideas she comes up with. The Aioli is nice and flavorful, but the real star, to my utter surprise was the zucchini. I expected the aioli to be my favorite. 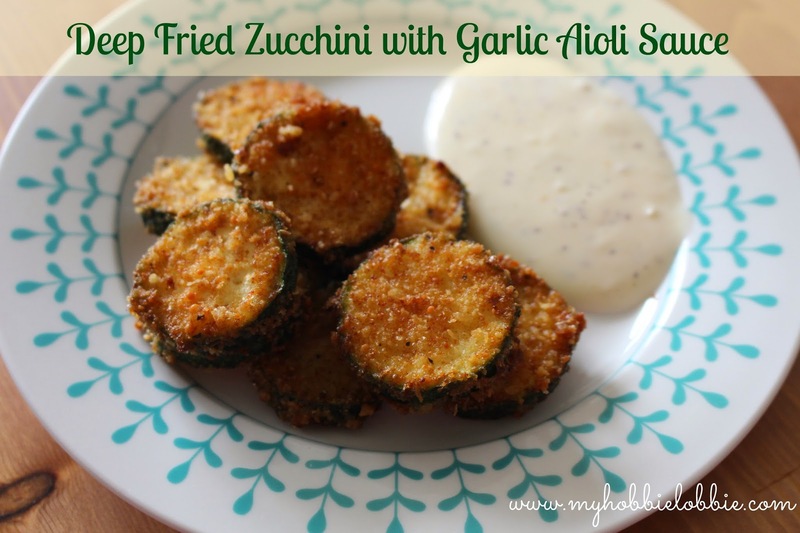 The zucchini was so good, it didn't need a dipping sauce. I have some more zucchini in the fridge and I'm going to make another batch for dinner this evening. That's how good it is. Don't take my word for it, go ahead and try it. Erin, thank you so much for this recipe. I LOVE it. Cut the zucchini into slices about 1/4 of an inch thick. In a bowl, beat the eggs and the buttermilk. In another bowl mix the breadcrumbs, parmesan cheese, salt and pepper. When the oil is hot, dip the zucchini in the egg dip and then in the crumb mixture and then carefully place in the oil. Fry for a couple of minutes on both sides on a medium flame, till golden brown. Using a slotted spoon, remove the slices from the oil and place on some kitchen paper to drain any excess oil. 3-4 cloves of garlic, minced / crushed. Let the soda sit out for a while to let some of the fizz die out. 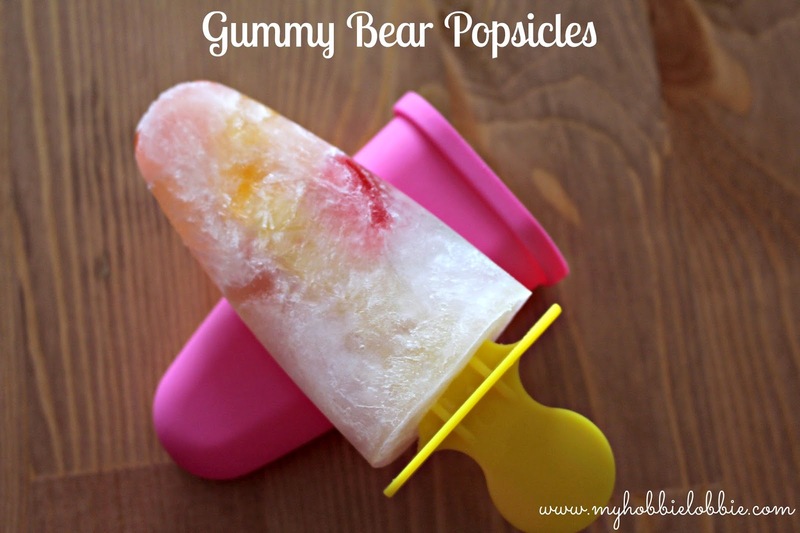 Drop some gummy bears into your popsicle mould. You can use as many or as few as you like. I went for about the half way mark. Top up with the Sprite. The kids will love it and so will the adults. There are no kids in our household and I still made it and we loved it. Do stop by and check out what the rest of Group A whipped up this month. Oh my gosh, gummy bear popsicles! I am giggling with glee at the thought of that. Sounds so good! Oh they are lovely Helen, I hope you like it as much as we did. Yum. Deep fried is always good ;) I had your blog this month! Your garlic rolls were great!!! I'm so glad you liked them Sarah ... thanks for stopping by! Trish, you are so sweet! It's so nice to be in group A with you! So glad you liked the zucchini and aioli. Two of my favorite things! And I forgot about the gummy bear popsicles. We have to do that again. Thanks for the inspiration Erin ... lovely to have you in Group A! Both of these recipes sound great and fun! Well done on two dishes and that zucchini looks mouthwatering!